This is the map I am currently using. There are a few changes from last time. There may be a few more depending on the final number of players. 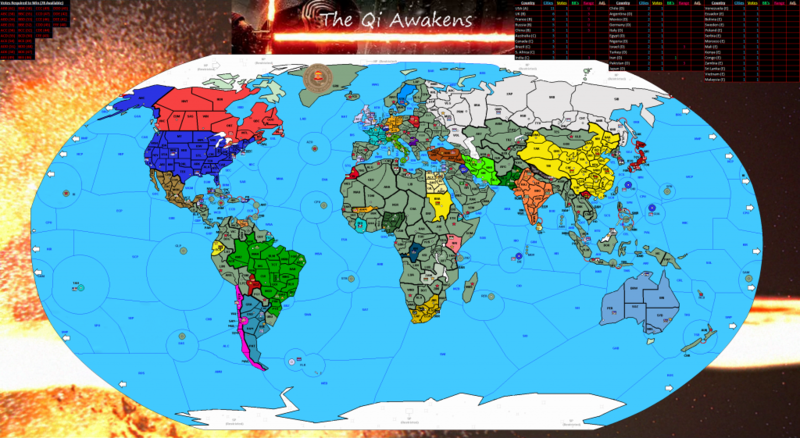 The map has been updated to show how it looks as a 34-nation map instead of 44. We added a couple so the map is back up to 36 with the reintegration of Chile and Zambia.